Principal’s message - I can’t believe we are now in the month of November! Spirit Week was a lot of fun and with tonight’s middle school dance, we hope they have a good time as the week comes to an end. Remember to “Fall Back” this Sunday morning as Daylight Savings Time ends and we return to Standard Time. On Friday, November 3rd, teachers will be grading and preparing for Parent/Teacher conferences, which are on November 8th and 9th. If you have not signed up yet to attend, please be sure to contact the main office to meet with your child’s teacher next week. Lastly, be sure your student is ready for outdoor recesses! They need warm clothing that will also keep them as dry as possible. We do go outside for recess and we want to make sure the students are prepared. Be sure label the items as well with your child’s name as these items sometimes get left behind on the playground. I want to share a Marshmallow Test story that really illustrates our quirky school. Last year, I gave the Marshmallow Test to all the kids and the vast majority were quite successful and got two marshmallows. A week later, one of them showed up at my office holding both of his still uneaten marshmallows. They were a little crusty and bordering on nasty, but I laughed and gave him a third marshmallow. Last week, during the marshmallow test, he still had his three marshmallows from last year! Disgusting, but so very Winterhaven! Otherwise, we are continuing to work on mindfulness, the non-religious branch of meditation. I sometimes hear from students “I tried it once, it didn’t help” and I try encouraging them by reminding them that practicing mindfulness is like growing a tree. You can’t see it grow day to day, but if you look back after a month of growth, you will see the difference. Ideally, these mindful moments would be supported at home. Here’s a quick article on how to fit mindfulness into our already busy lives. https://www.brit.co/practical-meditation-tips-headspace/ Using an app on your device is also a popular option. There are many including Breathe, Calm, Headspace, Flowing, Smiling Mind (We use a lot of their videos in class) and my personal favorite, Insight Timer. It’s important to start small and not jump into a 20 minute meditation, but it also important to do this regularly. I don’t get to see 3rd and 4th this week, they’re my Friday folks. I finished up the first of four kindergarten small groups this week. I get to meet with every kid sometime this year to play games and build the relationship between us. We also do some problem solving skills and sportsmanship stuff as well as introducing the talking monkey, a stuffed monkey that we use to let us know whose turn it is to talk. When we talk about cultures, what is the difference between Acknowledging, Affirming and Promoting? How can we make sure we are at least affirming all people? Lost and Found – Has your child lost an article of clothing or something from their lunch box here at school? If so, then we encourage you to visit our Lost and Found cart! It is overflowing and we need it emptied. The cart will be located by the main entrance during Parent/Teacher conferences, so please be sure to check it out. After conferences, we will be clearing the items from the cart. 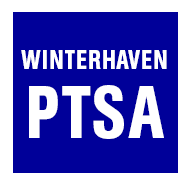 PTSA Directory - Is your family NEW to Winterhaven this year? Do you want to receive email about your child's classroom? Do you want to learn about school-wide events? Current families can also use this EASY online form to ADD or CHANGE their email subscriptions or UPDATE their information in the directory. NOTE: If your directory entries or email subscriptions are up to date, no need to use the form. IMPORTANT NOTE: To view the PRIVATE directory, you must be logged in using your you@winterhavenschool.org Google email address. For help with your you@winterhavenschool.org address or password, email admin@winterhavenschool.org. Wanted: An individual volunteer to take on the PTSA taxes! If you have accounting or tax experience, this is a great one time or once a year way to give support to your school community. Or, if you work for a larger firm, please consider asking if your company would be willing to provide this service to your school. Send replies or leads to helgafuller@gmail.com. Winterhaven Yearbook - If you have any pictures from school events, classroom activities or field trips that you would like to share for the yearbook, please email them to winterhavenyearbookstaff@gmail.com.